← Acorn squash…does this mean it’s fall? 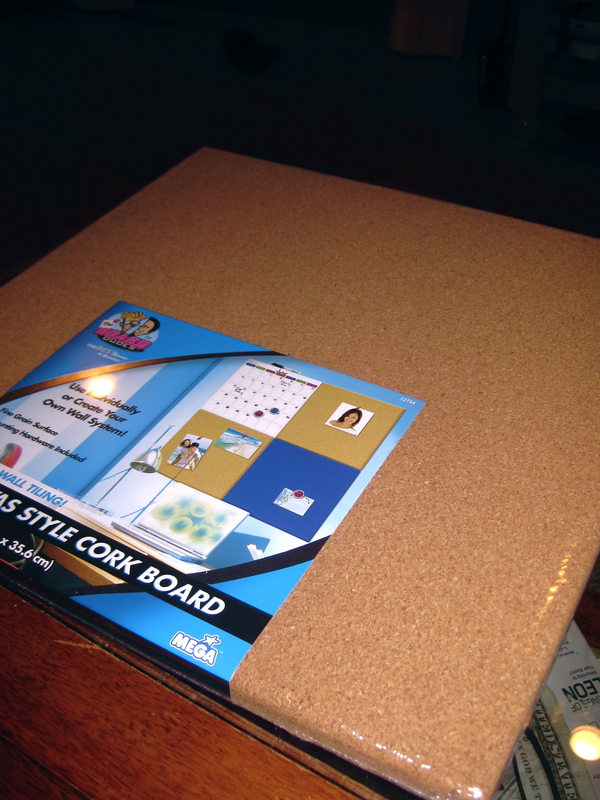 We were at Walmart last night, and I saw this cork board on sale, and knew that it was meant to be. To follow these directions, you’re going to need to buy a board that isn’t in a frame. Like this one. It can be done with a framed cork board, but then you have to change up the way that you attach your fabric. 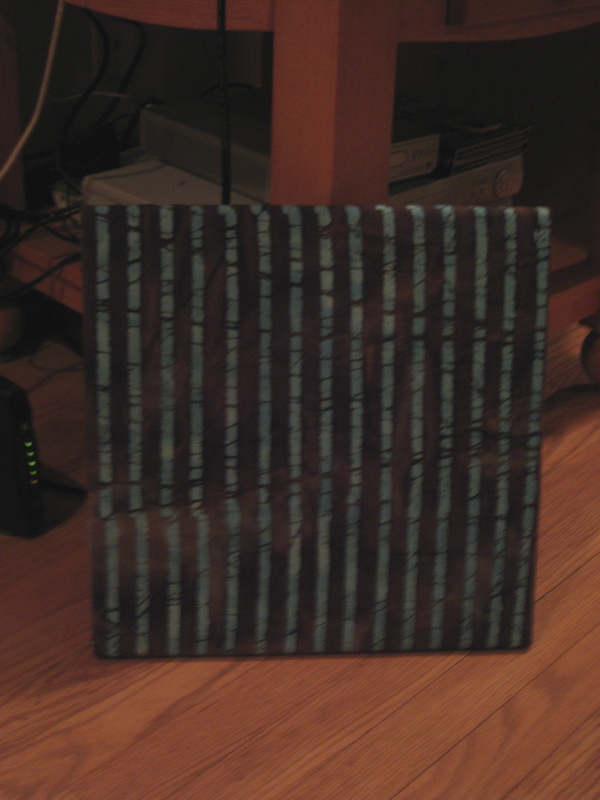 Buy enough fabric to cover the cork board plus about 3 inches for each border. 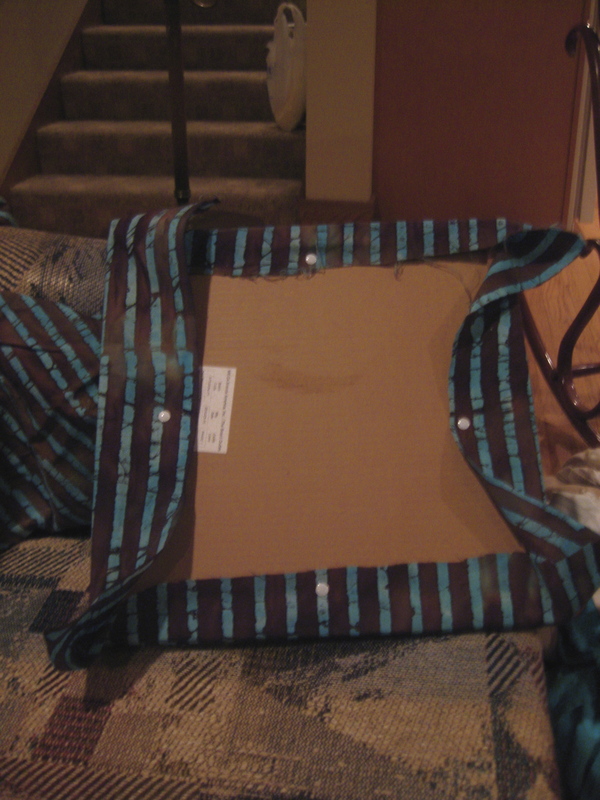 Iron it out so that you don’t have to deal with wrinkles in the final product, and stretch it around the frame, securing it to the back with flat thumb tacks. 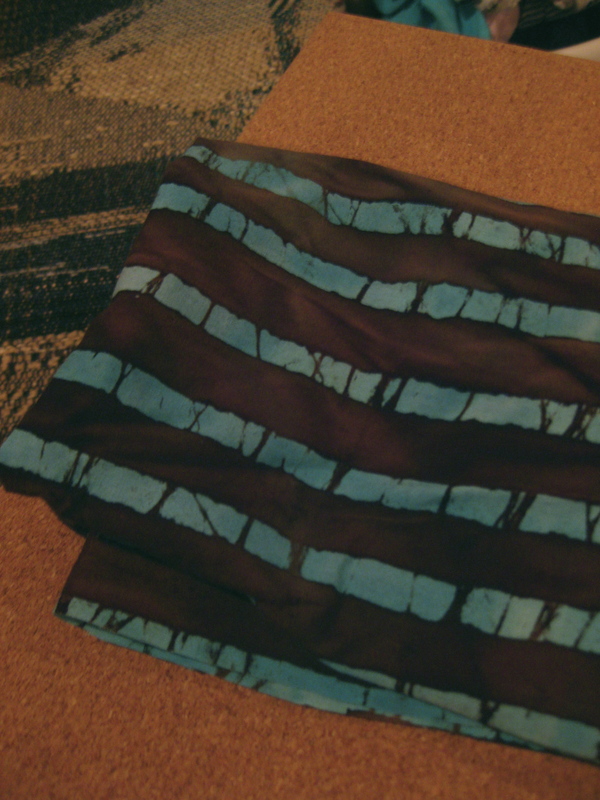 If you’re using stripes (or really, a fabric with any geometric pattern), make sure that it’s straight up and down. 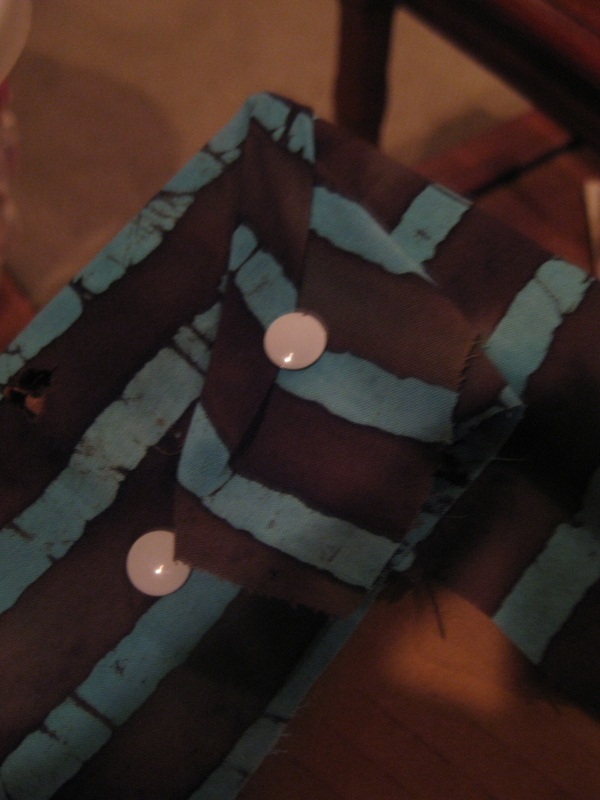 I had to refit the fabric a few times in order to make that happen. Alright, once you’re satisfied, secure the corners. Make them pretty. Repeat times 3 so that all the corners look equally beautiful. And you’re done! Now, poke pushpins in the front in whatever way makes sense to you. 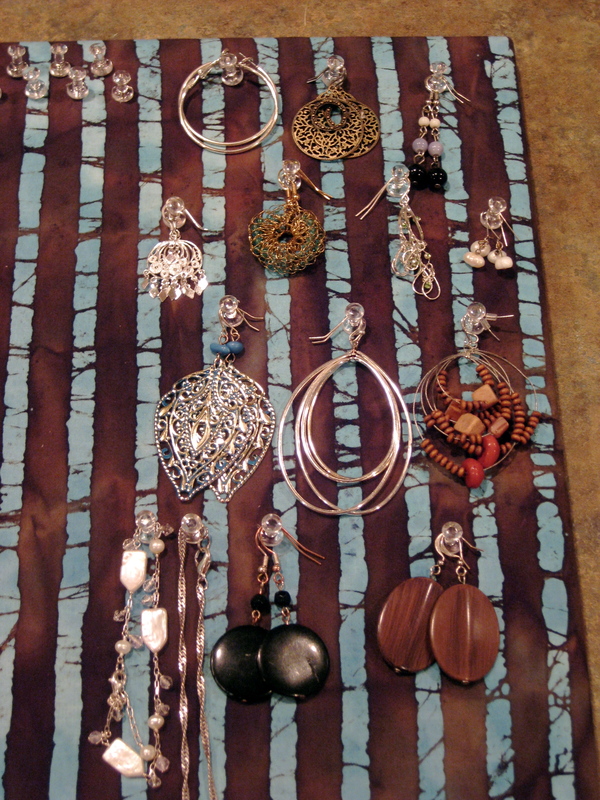 Hang necklaces, bracelets, and earrings. Voila! 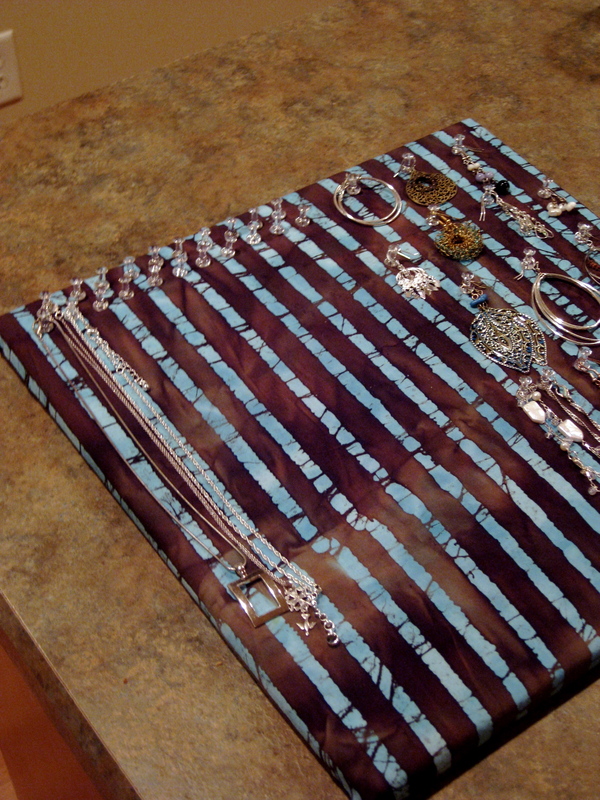 Now, you have a functional way to organize and display your bling, and it doubles as a wall hanging. In other news, I’m making a big batch of Stir Fry Mess. It’ll feed me dinner and at least a couple more meals this week. Score! I want your earring collection. I’ve decided to blow my first paycheck on shoes. Maybe I’ll add some earrings to that. I doubt I can actually follow through with this. If you’re into the natural look (bamboo, green plants, hard wood floors, flowers… cork…) you don’t have to cover with fabric. I have a board with a frame. I (will… eventually) paint the frame in a color that coordinates with the rest of my room, buy some fancy pushpins (metallic or clear or colored) and hang things right on the bare cork.